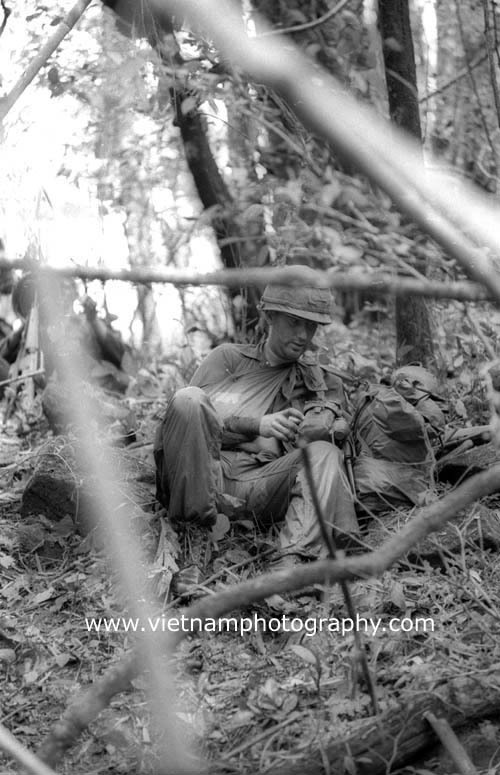 A wounded soldier rests in the jungle of Vietnam's central highlands. 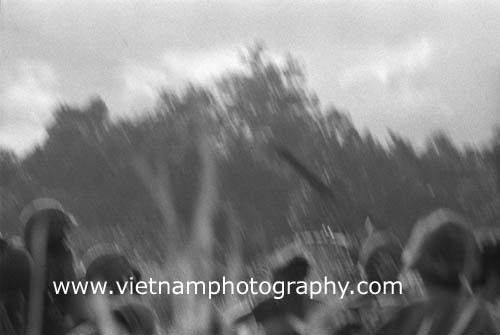 A surreal image of blurred soldiers in tall grass with the jungle looming behind them. 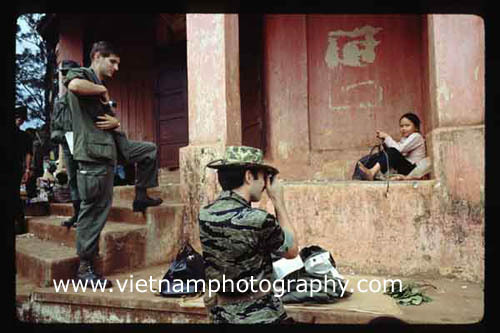 In Vietnam's central highlands in 1967. 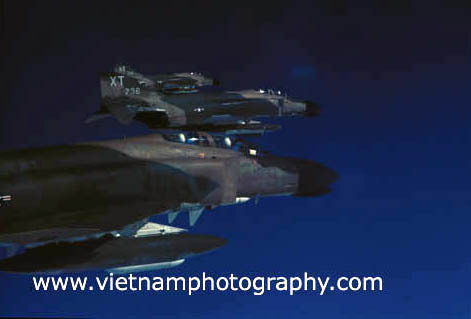 Air Force F-4 Phantom jets flying in formation over South Vietnam in 1966. 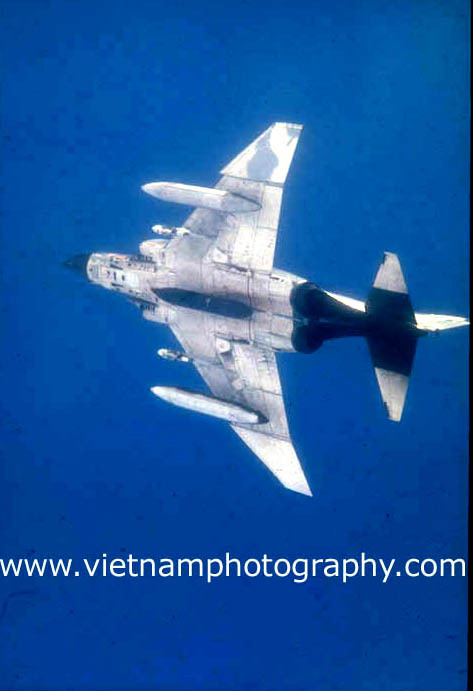 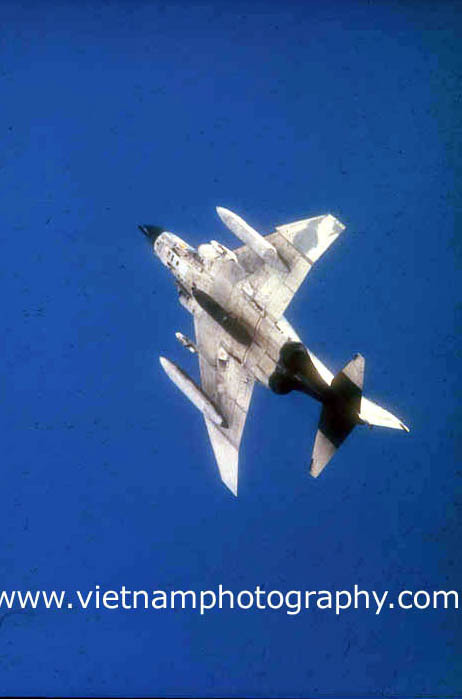 An Air Force F-4 Phantom jet flying in formation over South Vietnam in 1966. 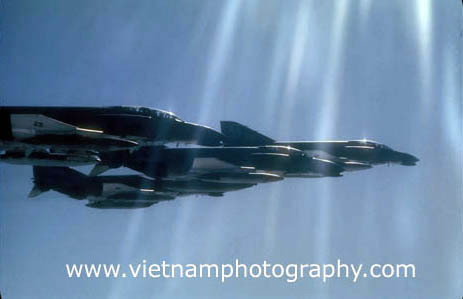 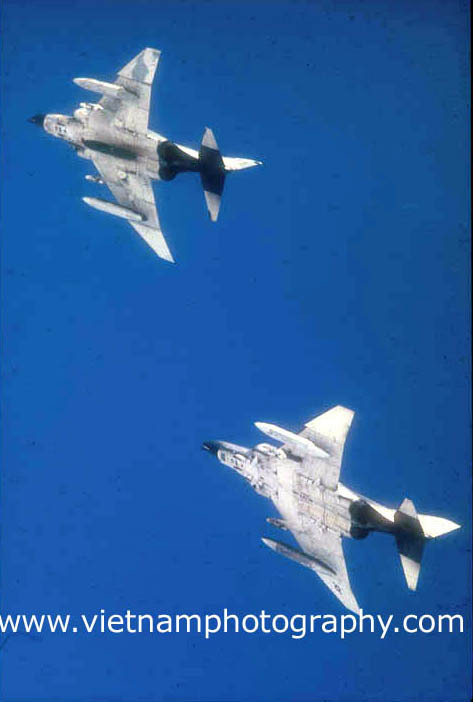 A pair of F-4 Phantoms flying over South Vietnam in 1966. 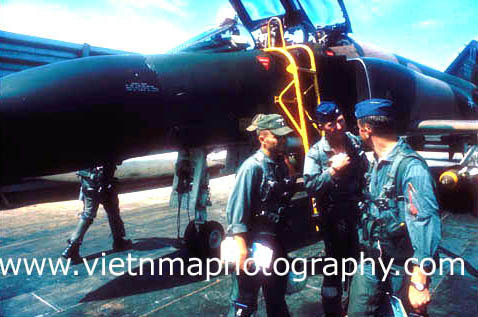 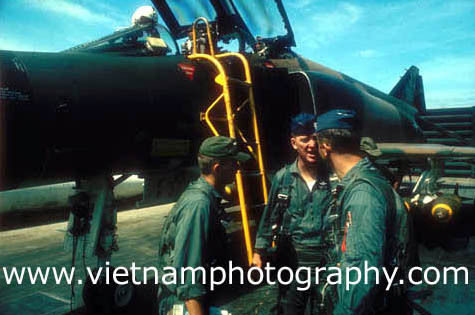 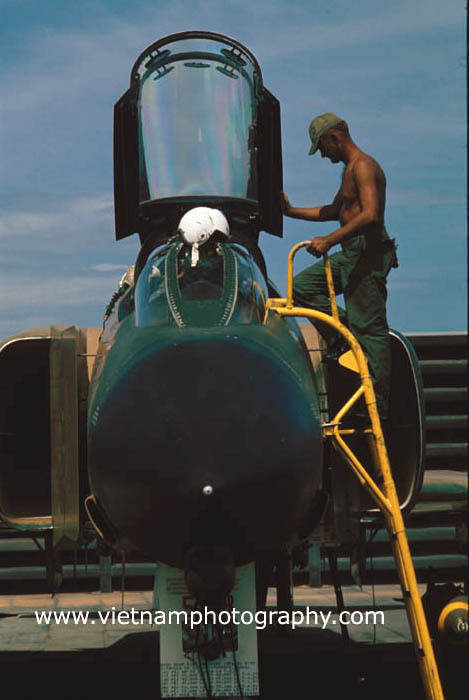 Lt. Col. Warren Ross talks about a mission in his F-4 Phantom jet flying out of Cam Rahn Bay in 1966. 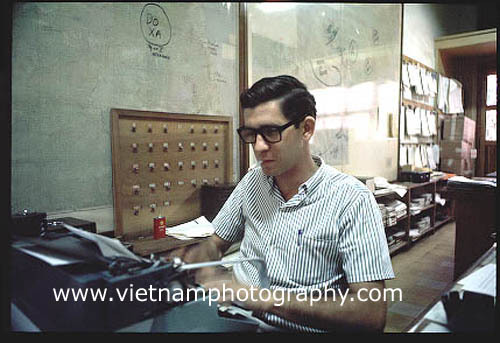 Reporter Frank Faulkner in the Saigon bureau of UPI in 1966. 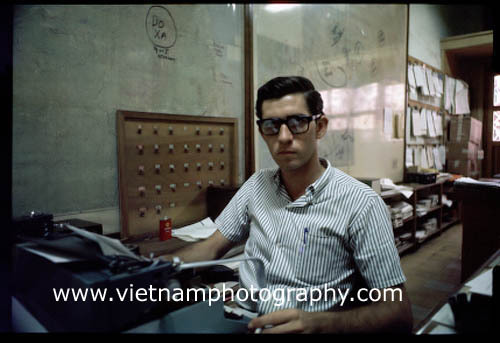 Freelance photographer Robert Hodierne takes pictures of street people in Saigon in 1966. 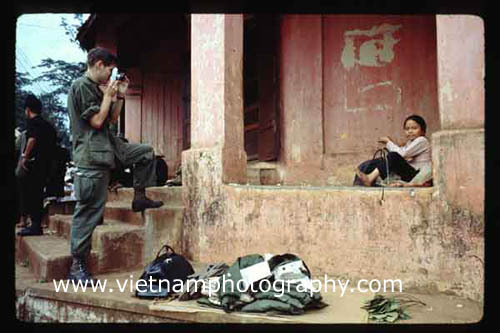 Freelance photographers Robert Hodierne (left) Frank Faulker take pictures of street people in Saigon in 1966.